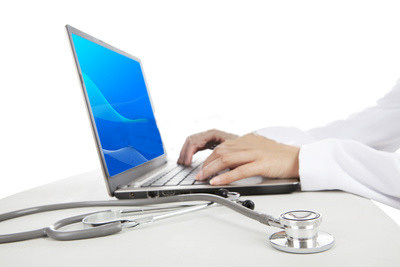 There are several things to consider before adopting an integrated EMR software. Nitin Chhoda emphasizes the most important thing to remember is to choose the best physical therapy software that is right for your practice. Physical therapy software is the tool of the future, bringing efficiency, exciting new features, and convenience to aspects of physical therapy management that were previously unimaginable. But what will it mean to go through the process of implementation and integration of your current systems and a new software system? What will your software look like? If you’ve read any reviews of physical therapy software systems, you know that some are incredibly intuitive and others are very difficult to use. The interface can be smooth, streamlined, and logical, or it can be crowded and frustrating. There are so many decisions to make regarding the type of physical therapy software that you choose that it may feel overwhelming. Naturally, you should start with relevant user reviews. Find out if physical therapy software of other private practices have had particular success with a particular EMR system. Don’t compare the experiences of a large hospital to the experiences of a small private practice. Be careful about where the information is coming from, because there will even be a lot of good information that is not relevant to your practice. And remember, you don’t have to get the fully integrated, most expensive physical therapy software system right off the bat. You can start slowly. But if you do work towards full integrated incrementally, be sure to adopt a system that can be expanded upon when you are ready. If you adopt a stand-alone system because it is cheaper, you may find that when you do want to upgrade or increase features, you have to start all over again with a new company. Another big decision will be how to use your physical therapy software. Will you start with computers first and work towards a goal of using tablet computers in the future? Or will you invest in tablets right away to get the most benefit from the switch? Tablet computers represent a sea change in the way physical therapists can do their jobs. 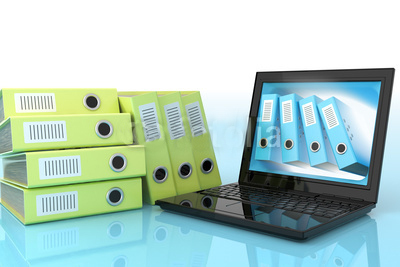 Taking medical records and client histories anywhere is now easier and safer than ever before. You can also access exercise example videos and engage with patients in different ways using tablets and other physical therapy software technologies. There will be a set of answers to your questions about the right software and hardware to implement, and those answers will be specific to your practice. More important than anything will be the amount of research you put into finding the answers and the right physical therapy software that will suit your practice. The most successful adoption of physical therapy software and medical EMRs are done when a team is designated to do the research, prepare the staff, and come up with an implementation plan. Your goals should be specific and attainable. If you want to improve efficiency using physical therapy software, you can find a way to do so. And you will be able to overcome the challenges that present themselves between now and the day you adopt the technology you need.